Future tense has four forms. However, one of the forms has no practical use. The simple future tense is used when an action is promised/thought to occur in the future. Subject + shall/will + verb + . . . . . . . .
We shall move to another city. He will come to New York tomorrow. They will make a phone which has artificial intelligence. Note: The structure of the present progressive tense also can be used when an action is promised/arranged/planned to take place in the near future. We are moving to Texas next week. The bus is leaving at 6.00 PM. The future continuous tense is used when an action is promised/thought to be going on at a specific time/context in the future. Subject + shall/will + be + verb+ing . . . . . . . . I shall be sleeping at around 6.00 AM tomorrow. They will be playing at this time tomorrow. She will be watching TV when I come home. I will be working in the office while you watch a movie. 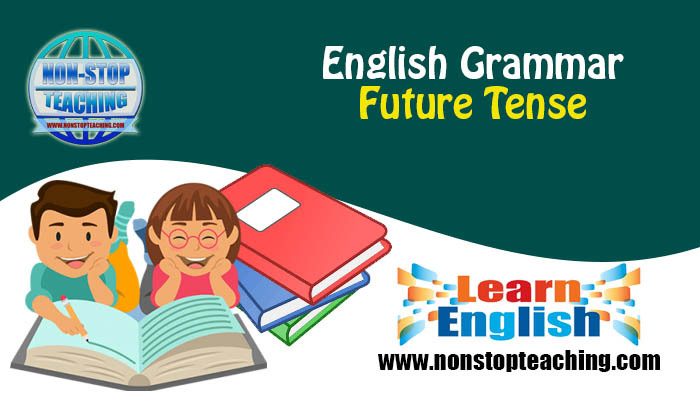 The future perfect tense is used to demonstrate an action which is promised to be done by a certain time in the future. Subject + shall/will + have + verb in the past participle . . . . . . . . I shall have completed the assignment by Monday. She will have cleaned the house before her father comes. Alex will have submitted the tender by tomorrow. Before I go to see her, she will have left the place. They will have finished making the bridge by January. Note: There is no practical use of this tense.